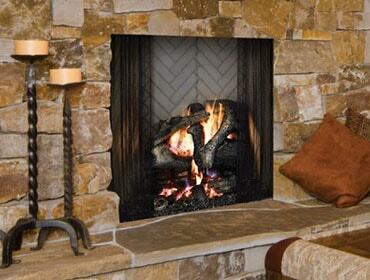 Zero Clearance Wood Burning Fireplaces can be placed practically anywhere in your home. 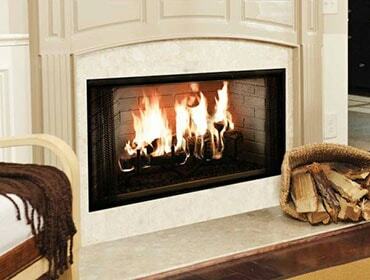 They combine the love of a natural fire with today’s latest technology. 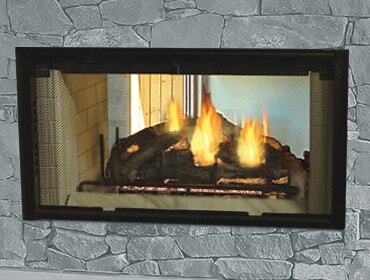 Carefully designed fireboxes create airflow around the wood so that it provides a spectacular fire that burns wood so completely it only produces efficient heat for your home with almost no polluting smoke released into the environment. Clean, elegant lines and three generously sized glass viewing windows make the Contura Ri50 a modern statement piece. 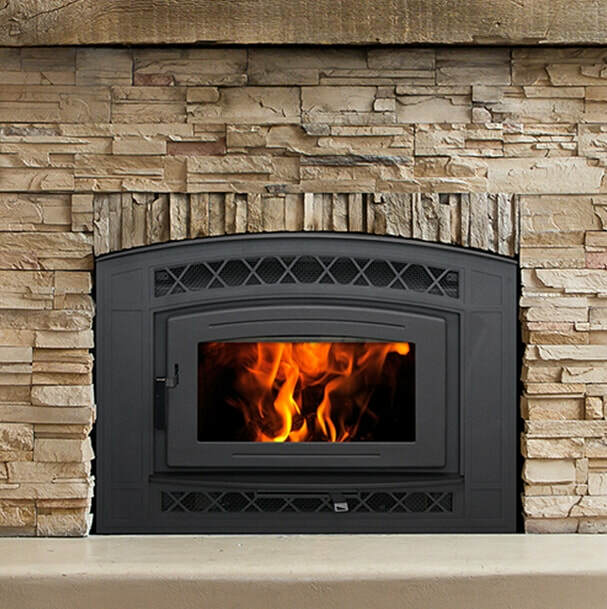 Able to accommodate top or rear venting, the freestanding design makes it easy to add dynamic wood fire ambience to any room. Royalton - Classical style, superior performance and outstanding features. - 36” or 42” viewing areas. * Starting at price is MSRP in USD for base model with required components. Pricing does not include doors, optional accessories, installation, and venting, if applicable. Pricing subject to change. and clean face design becomes the natural focal point of any room. - 36”, 42” & 50" viewing areas. 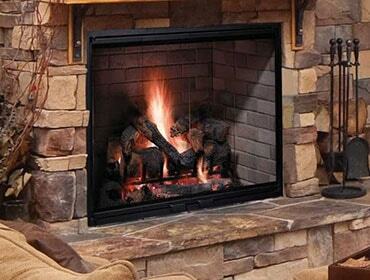 beauty of your wood burning fireplace from two rooms at once. NZ 3000 High Efficiency - New catalytic design allows this unit to burn up to 25% longer than previous model with lower emissions of 3.5 g/h. 60,000 BTU heats up to 2000 sq ft.
NZ 8000 - Clean Burning Wood Fireplace with a zero gravity door which allows for a viewing area of 40" x 28". An air wash system keeps the glass clean. Holds up to 50 lbs of wood. NZ 7000 - Clean Burning linear wood fireplace with a huge viewing area of 40"x19" with an exclusive counterbalanced zero gravity door. 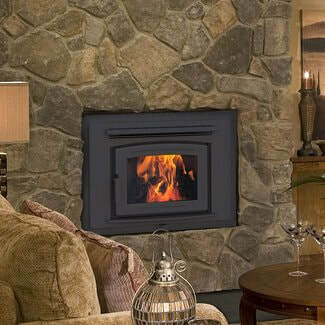 Can fit log sizes up to 32"
Regency Excalibur EX90 EPA Certified Wood Fireplace - Defined by the large arched viewing area that frames a captivating wood fire, the simple and reliable all-in-one draft control rod allows you to choose a slow burning fire with less heat or a robust, crackling fire to take the chill off any room. Heating area: 1000 to 2200 sq ft.
FP16 - Built for a lifetime of clean wood burning heat, the FP16 is an exceptional heating solution for small to medium spaces. Highly efficient and EPA Certified. FP25 - Highly efficient and EPA Certified, the FP25 is powered by our renowned floating firebox, high capacity baffle system, and EBT2 for extended burn times. 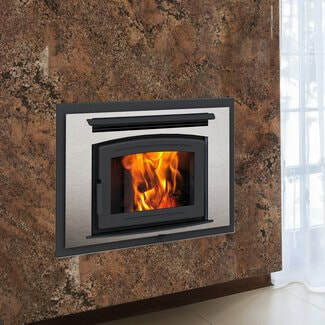 FP30 - Heat larger spaces with the reduced footprint of a wall-mount fireplace: the FP30 offers the best of traditional wood heat, with a contemporary look. Arch door available.